Mediation policy-making appears to be a growth industry. Numerous legislatures, state courts, agencies, membership organizations and other institutions are occupied with structuring their corners of the mediation field, whether it is through the regulation of mediator qualifications, referrals, training, ethics, confidentiality, immunity, boundaries of practice or other issues. Consider just these few policy initiatives that are currently underway. The American Bar Association and the NCCUSL have embarked on a joint project to draft uniform laws for mediation. The CPR Institute for Dispute Resolution and Georgetown University Law Center are collaborating on the ADR Ethics Project, and have assembled a 65-member Commission on Ethics and Standards of Dispute Resolution Practice for lawyers. The Mediator Skills Project, in cooperation with The State Justice Institute, is trying to articulate operational definitions of mediator skills, tactics and strategies in order to define "competence” for court-connected mediators. The Academy of Family Mediators is cooperating with the Mediator Skills Project to develop the first written mediator certification test in the nation, and in an unrelated project, is revising its training standards. The State of Maryland is preparing legislation and ethical standards to govern mediation. The State of Virginia is considering standards to regulate mediation training. Each of these projects, and many others not cited, will in some way shape how mediation is defined and practiced. In most cases, some form of standardization of practice is the goal. But a challenge facing each of these projects, and in fact all policy efforts in the field, is how to accomplish standardization when there is immense variation in mediation practice. I believe the primary question is whether standardization is desirable, let alone possible, and suggest that differences in practice must be taken into account by policy-makers. Differences matter, and it is only by understanding where differences in practice come from, and where they lead, that policy-makers can make informed policy decisions. It is by now no secret that there are many different approaches to mediation practice. The field has seen a proliferation of adjectives that try to capture these differences, including transformative mediation, client- centered mediation, facilitative mediation, problem-solving mediation, muscle mediation, med-arb, arb-med, humanistic mediation, naturalistic mediation, evaluative mediation, therapeutic mediation, rights-based mediation and interest-based mediation (to name but a few!). 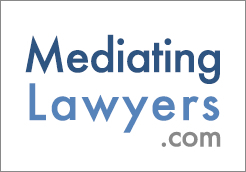 While these adjectives indicate a growing awareness among mediators that mediation is not a single homogenous process, policy in the field does not appear to have kept pace with the adjectives. I, for one, think that there are indeed fundamental incompatibilities in our methods of practice, grounded in ideology, and that this has enormous implications for public policy. We’d better get a hold of these implications before the regulators apply uniform standards that make none of us happy. The key… is to articulate our differences openly and precisely, so that we can educate consumers to make informed choices and so that we can help policymakers achieve the best result. The field as a whole is minimizing the importance of difference. A notion has taken hold that differences in practice are merely a matter of mediator "style.” The very use of the word "style” implies that mediator practices are no more consequential than a whim, and as easily donned, shed, changed, and mixed and matched as the day’s clothing. A corollary to this image is the notion that mediators are the ultimate chameleons, able to sense the style appropriate for any case, client, and context, and alter their style accordingly. Such an argument can be appealing for any number of reasons. It neatly sidesteps any issues of best practice. It avoids the politically-charged definitional arguments which are prevalent in the field, and appears to claim a politically-correct neutral or "all-inclusive” standpoint. Most importantly, it appears to be consistent with the rhetoric of mediator neutrality, which has somehow come to mean that mediators have no plan, no values, no agenda, no goal, no premises, no theory, beyond doing the clients’ bidding. But, there’s always a theory, if we think of theory as the explanation for what mediators do when they intervene in someone else’s conflict. Some theories are highly developed, coherent, and based on research, such as Bush & Folger’s transformative theory (1994), Rubin, Pruitt & Kim’s dual concern model (1994), and Pearce & Littlejohn’s model of transcendent discourse (1997). Or, practitioners may have their own intuitive theories-in-use for what they do. Theories, no matter how sophisticated or naïve, shape what the mediator attends to and ignores as the parties interact, as well as the nature of the mediator’s intervention. These theories are powerful and consequential, because they are embedded in even broader ideological assumptions about the world (or "worldviews”): assumptions about what motivates people, what causes conflict, how people should behave in conflict, what people are capable of, what an effective or successful resolution of conflict looks like, and what it takes to resolve conflict (Bush & Folger, 1994). Mediator practices vary a great deal as a result of the theories mediators rely upon and the worldviews underlying their theories. Worldviews, or ideologies, can be thought of as the mediator’s preferred moral and social order. And, there is little or no evidence that mediators change their worldviews, or fundamental assumptions about people and conflict, on the basis of the case, client or context. Differences in mediator practice, and in particular the theories which shape those differences and the fundamental assumptions upon which they are based, do indeed matter for policy and policy-makers. Referring again to the many adjectives used to describe mediation, you can see they reflect a variety of roles for mediators, from that of facilitator of the parties’ communication and decision-making process to quasi- judicial roles. We cannot assume that the same policies should apply to each of these processes. For example, there may be sound reasons for confidentiality in a process which encourages parties to communicate openly with each other in an attempt to resolve their dispute, while those reasons may be overshadowed by a need for outside review and oversight in a process in which a mediator provides case evaluations and legal opinions. Concerns about mediators engaging in the practice of law will be paramount in evaluative processes in which the mediator gives opinions as to the best outcome or how the law would apply to the case, but may be negligible in processes that emphasize inter-party communication and informed decision-making. Policy-makers, too, draw on their theories about conflict and their own assumptions about human beings in conflict as they shape policy. These theories and assumptions, in turn, shape how mediation is ultimately practiced. Seldom is it apparent that policy-makers examine their theories and the assumptions upon which they are based. This is especially true when we consider how common it is for policy-makers to simply adopt a "package” from another source, such as codes of ethics, or standards for certification, or performance-based assessment standards. A consequence of policies which are built on unstated assumptions about the nature of mediation is that the policies themselves make certain types of practice normative, and others marginal. For example, there are policies on mediation training which require mediators to learn about "stages” of the process, which favor a linear, directive form of practice over more organic, communication-based approaches. There are policies requiring mediators to possess and employ substantive and legal expertise, which presume an evaluative or even quasi- judicial role for the mediator and devalue process facilitation. Questions of the wisdom of such policies aside, the more fundamental question is whether the natural consequences of such policies are deliberate. We will only know if the assumptions upon which policies are based are made explicit. In conclusion, it is time for the differences in mediation practice to be taken into account by policy- makers. An important part of every policy conversation should be a discussion of what "mediation” is, what theories of practice are being (or should be) privileged, what assumptions underlie those theories, and how those assumptions will shape practice. This will probably require policy-makers who are not fully informed about the various theories of practice to consult with professionals in the field who have such familiarity. It also speaks for the importance of hiring consultants who can articulate their own theory and are conversant with other theories in the field. Beware the consultant who suggests that he or she can build programs for "generic” or "normal” mediation in a field abounding with adjectives. Such claims may obscure difference, but they don’t do away with it. Ultimately, thoughtful, fully-informed policy-making depends upon acknowledging and dealing with the differences in the field. What are your experiences with policy? In its effort to clarify the links between policy and practice, the Practice Enrichment Initiative is asking practicing mediators to share their experiences. Has a policy adopted in your locality, area of practice or membership organization caused you to change or modify your practice? In what way? Would you have made these changes if the policy had not been adopted? What effect have the changes had on you and your clients? Have you questioned the assumptions underlying the policy? If you have an experience you’d like to share, contact PEI Policy Workgroup Chairs Paul Charbonneau and Dorothy Della Noce, at pgcharbo@midcoast.com, or dellanoce@ezonline.com, or by fax to Dorothy Della Noce at (717) 728-0248. Thanks! Bush, R.A.B. & Folger, J.P. (1994). The promise of mediation: Responding to conflict through empowerment and recognition. San Francisco: Jossey-Bass. DellaNoce, D.J. (1998). President’s message: Conflict in the field is a challenge to be met. Mediation News, 17 (3), pp. 1-3. Lexington, MA: Academy of Family Mediators. Pearce, W.B. & Littlejohn, S.W. (1997). Moral conflict: When social worlds collide. Thousand Oaks, CA: Sage. Rubin, J.Z., Pruitt, D.G., & Kim, S.H. (1994). Social conflict: Escalation, stalemate, and settlement (2d Ed.). New York: McGraw-Hill. Toben, S. (1998). Remarks on accepting the AFM 1998 Peace Award on behalf of the Hewlett Foundation. Reprinted as "Hewlett foundation officer speaks about future of organizations,” Mediation News, 17 (4), pp. 12-13. Lexington, MA: Academy of Family Mediators. This paper is part of a Working Paper Series prepared on behalf of the Practice Enrichment Initiative (PEI), led by R.A. Baruch Bush and Joseph P. Folger, and funded by grants from the William and Flora Hewlett Foundation and the Surdna Foundation. I would like to acknowledge the comments and contributions of all members of the PEI, and in particular those of R.A.Baruch Bush, Joseph P. Folger, and Paul Charbonneau. Dorothy J. Della Noce and The Practice Enrichment Initiative, 1999. Reprinted with permission. Dorothy J. Della Noce, J.D., Ph.D., is a researcher, scholar and practitioner of conflict resolution who has participated in numerous cutting-edge initiatives to clarify the relationship between theory and practice. She recently completed a study on mediator profile information provided in court rosters. She has conducted a number of studies, with colleagues from the Institute for the Study of Conflict Transformation (ISCT), on mediator practice competencies, and helped create performance-based testing protocols for transformative mediators. She was part of a team from the ISCT that conducted qualitative research on mediation programs in the State of Florida and for the United States Postal Service. She was a coordinator of the Practice Enrichment Initiative, a grant-funded project led by Baruch Bush and Joseph P. Folger, to support mediation practice, training assessment, and policy-making. She was also a member of the Training Design Consultation Project, a grant-funded theory-to-practice initiative also led by Bush and Folger, devoted to the development of mediator training materials based on relational premises and transformative practice. Dr. Della Noce is an experienced conflict resolution educator and trainer. She regularly presents a wide range of programs in partnership with non-profit and governmental agencies, courts, state mediation associations, and community mediation centers. Her presentations for national and international dispute resolution organizations, such as NMI, NIP, ACR, AFM, SPIDR and NCPCR, have received consistently high ratings. She has taught on the subjects of ADR, mediation, conflict analysis and intervention, communication theory and practice, research methods, and legal communication at such institutions as the Marshall-Wythe School of Law, College of William and Mary, Hamline University, and The National Judicial College in Reno, Nevada. She currently teaches for James Madison University, School of Communication Studies, in Harrisonburg, Virginia, where she has been recognized as Professor of the Year three times. She also teaches select courses for Webster University in Leiden, the Netherlands, and Online for Jones International University. Dr. Della Noce's articles have been published in the Ohio State Journal of Dispute Resolution, Hofstra Labor & Employment Law Journal, Pepperdine Dispute Resolution Law Journal, Mediation Quarterly, Conflict Resolution Quarterly, Negotiation Journal, and Communication Teacher. She is one of the original authors of the Supreme Court of Virginia's ADR Procedures Manual, and has also published numerous chapters in edited books. She is a member of the Editorial Board of Mediation Quarterly, and in the past was a member of the Editorial Board of Mediation Quarterly. She was also President of the Academy of Family Mediators (AFM) and President of the Virginia Mediation Network. Dr. Della Noce currently resides in the Netherlands where, with Dr. Hugo Prein, she provides mediation services, communication coaching, and training in conflict intervention strategies through the Transformative Mediation Institute (www.transformative-mediation.com).